" Thanks for a great shopping experience. Your selection of christian titles is great and your prices are excellent. I look forward to doing business with your establishment in the future." This has been discontinued or is no longer available for purchase. Ready for action - with his red plunger ears and lots of fun gadgets, LarryBoy is a hero who defends justice, integrity and...the right to great chocolate! The life of a mysterious stranger intersects and touches those around him. The true story of civil rights activist Joan Trumpauer Mulholland. No matter where life takes you, always keep swinging. Double the veggies, double the fun! 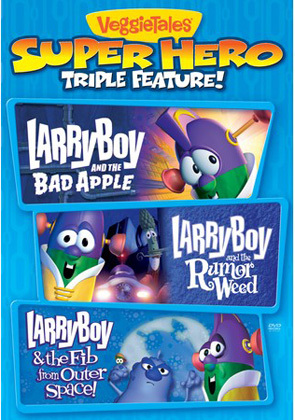 This multi-feature DVD includes: Little Drummer Boy and The Star of Christmas.